This statement causes a shock in every Catholic who believes in the apparitions of Fatima. There is a stunning contradiction between what Card. Poupard is saying and what the Mother of God affirmed. She foretold the conversion of Russia, which obviously means that Russia was in error. At the time of the apparitions there were two main errors in Russia: first, the old errors of the so-called Orthodox Church, second, the errors of Communism which in 1917, the year of the apparitions, took power in Russia. Neither of these errors has been erased. I think that only in a period of near total apostasy could such a statement by Card. Poupard - blatantly opposed to the words of the Mother of God - be made. Undoubtedly it was made with the knowledge and approval of Benedict XVI. Further, Poupard told the students at the “Orthodox” St. Tikhon Humanitarian University in Moscow that the Vatican never wanted to make Russia a Catholic country. This is very strange. The Vatican continues to insist that John Paul II made the Consecration of Russia to the Immaculate Heart of Mary in 1984. The only purpose of such consecration was the conversion of Russia. Now we are told the Vatican never wished to convert Russia to Catholicism. An unequivocal sign of utter contradiction! The Cardinal then stated that the Holy See is praying for a “Christian” Russia with further preaching by “Orthodox” and Catholic disciples. 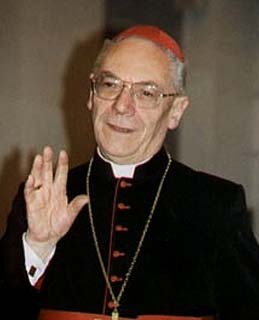 He admitted differences between Catholic and Schismatic clergy, but as members of the same family. Are these just a few differences between members of the same family?! How can this be, when they deny the procession of the Holy Ghost, Papal Infallibility and the Immaculate Conception, and they quarrel over Purgatory? In each case the Schismatics stubbornly deny solemnly pronounced Catholic dogma. Pray tell, how does this intellectual sickness coincide with Sacred Tradition, the Extraordinary Magisterium, and my oh my, it seems as if the majestic messages of Our Lady of Fatima have been totally forgotten. 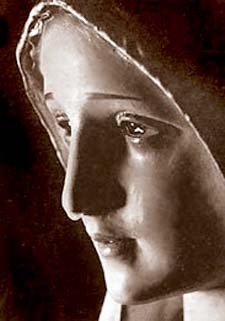 Just think of the series of events that occurred at Fatima: the original apparitions from May 13 through October 13, 1917 culminating in the great Miracle of the Sun, the Five First Saturday devotions revealed at Pontevedra stressing penance and reparation to the Immaculate Heart of Mary, and the incredible vision of Hell shown to Lucia, Jacinta and Francisco. Importantly, the Blessed Mother designated Russia as the scourge of the Church and the world. But she promised, “In the end My Immaculate heart will triumph.” (Mark Fellows, Fatima in Twilight, p. 49). “The moment has come in which God asks the Holy Father, in union with the Bishops of the world, to make the consecration of Russia to My Immaculate Heart promising to save it by this means. 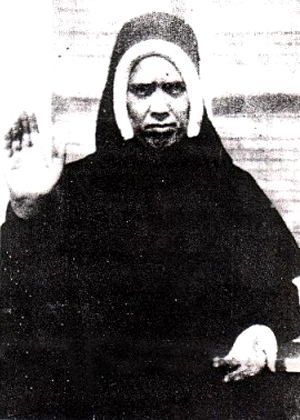 There are so many souls whom the justice of God condemns for sins committed against Me, that I have come to ask reparation: Sacrifice yourself for this intention and pray.” (Ibid., p. 49). As St. Paul wrote, “in the last times some shall depart from the Faith, giving heed to spirits of error and the doctrine of devils” (I Tim 4:1). In another passage the Apostle states, “Know you not that you are the temple of God and that the Spirit of God dwelleth in you? But if any man violates the temple of God, him shall God destroy. For the temple of God is holy, which you are” (1 Cor 3:16-17). Indeed, just warnings for all violators of the Faith. “The final triumph of Mary’s Heart is certain, and it will be definitive. But it will take place ‘in the end,’ that is to say, after a terrible purification of sinful mankind in a baptism of fire, blood and tears” (Ibid., p. 334). This devastating statement of Sister Lucia does not take much imagination to perceive. The Consecration will be made AFTER a chastisement, possibly a nuclear holocaust. When the Consecration is made, the blessings will be the Triumph of the Immaculate Heart of Mary, with the conversion of Russia to Catholicism and a period of Christlike peace. However, the chastisement will be a time of overwhelming horror, probably with the large portion of mankind destroyed and an increase in the population of Hell, thanks to the disobedience of the Vicars of Christ! Please note, many Cardinals, e.g. Ottaviani, Oddi, Biffi, and even the liberal Bea, read the Third Secret and concurred with this interpretation.